The viral photo of TWICE‘s Mina and GOT7′s BamBam has been confirmed to be real by JYP Entertainment after being decreed fake by fans. On March 13, an image of TWICE’s Mina laying next to GOT7’s BamBam surfaced online with rumors of the two being in a relationship. The rumors began due to the intimate nature of the photo and one that isn’t common for two idols to take. The photos authenticity has been highly disputed amongst fans and claimed to be fake. JYP Entertainment has even stepped forward to confirm the photo as real, but also that the two artists are simply friends. Some fans began to analyze the photo and spread “evidence” that the photo was edited, Korean media refuted the claims. The “evidence” that was shared were simply similar, but not identical photos of both Mina and BamBam. 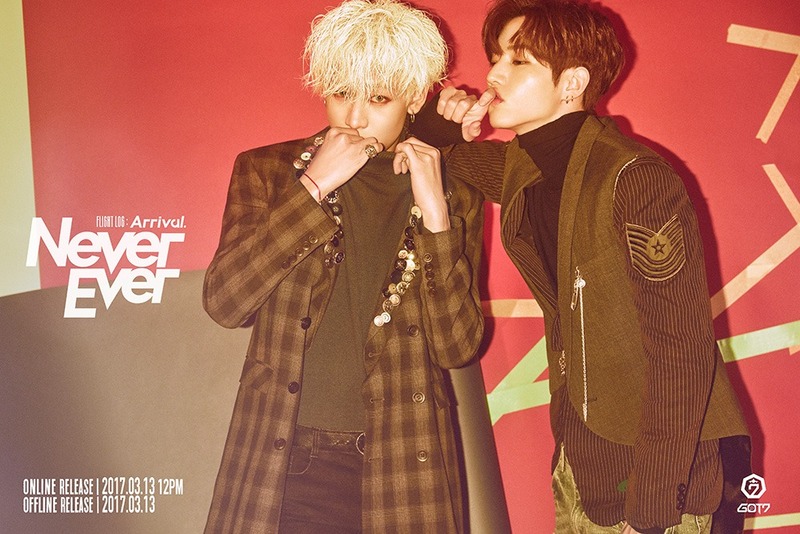 Fans claimed that the photo of BamBam was from this photoshoot. However, it’s clear that his arm position is completely different and the claims are a stretch. JYP Entertainment has now also released an official statement confirming that the photo is real. However, they deny that the two are dating and re-iterated that they are simply friends. It appears the photo of Mina and BamBam together was taken on February 10, 2017. 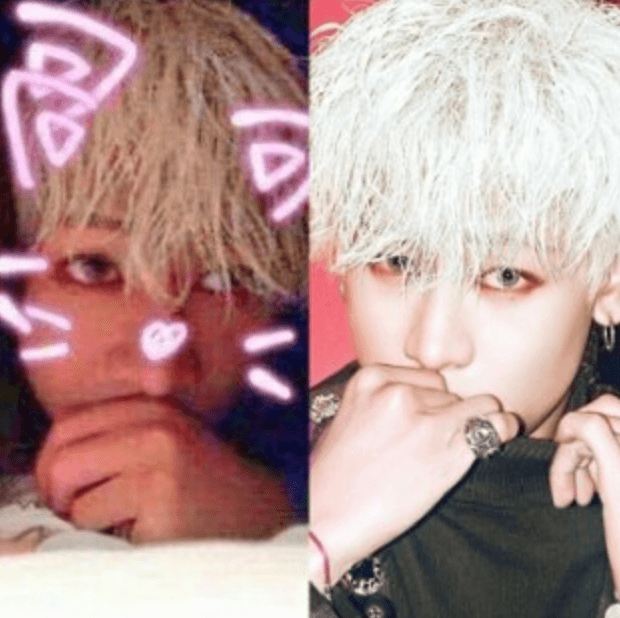 GOT7 was wrapping up their album jacket photo shoot during the day and BamBam has an identical hairstyle and contact lenses in both photos. The photoshoot that BamBam participated in on February 10, the same day his photo with Mina seems to have been taken. Meanwhile, TWICE was streaming live on February 10 where Mina was wearing a white sweater and had unique nail art painted. The same nail painting and white sweater can be spotted in her photo with BamBam. TWICE had also attended member Dahyun‘s graduation at Hanlim Multi Art School, earlier in the day. Mina was wearing a black sweater when attending the graduation ceremony. She switched into the white sweater from her photo with BamBam for their stream and concert rehearsal. Mina spotted during her live stream with TWICE in the same clothes. While the statement from JYP Entertainment confirms the photo is real, there has been no information as to where the photo originated from or how it was leaked. Update: A sasaeng fan from Korean internet forum Ilbe sent a murder threat to Mina.